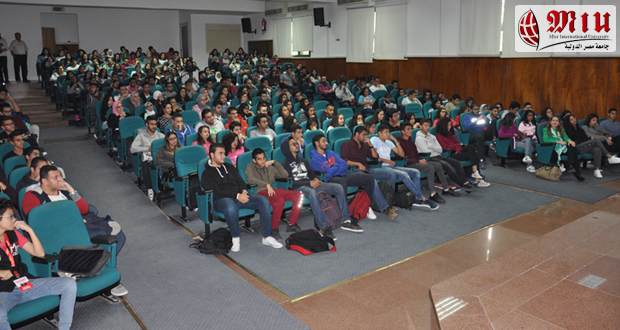 A seminar entitled “Nothing is Impossible: A Path to Success” was organized on Monday 12th November, 2018 by the Department of Management & Marketing, Faculty of Business Administration & Foreign Trade. 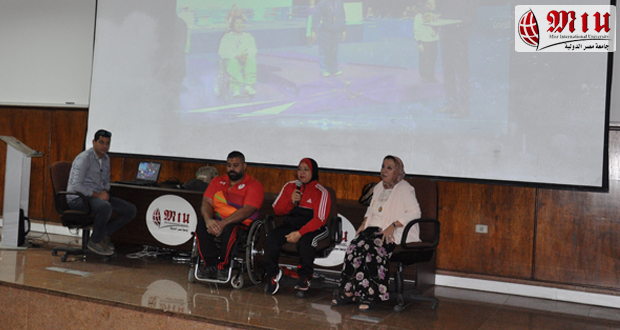 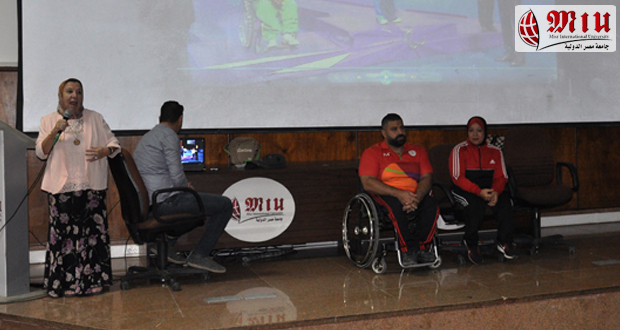 The session was given by Dr Hayat Khatab, President of the Egyptian Paralympic Committee, President of Paravolley Africa, Member of the World Paravolley Organisation and Member of the CPISRA. 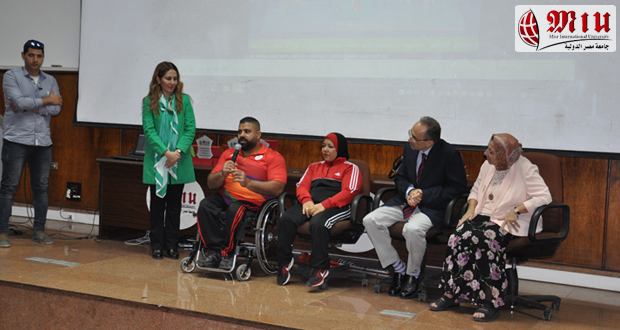 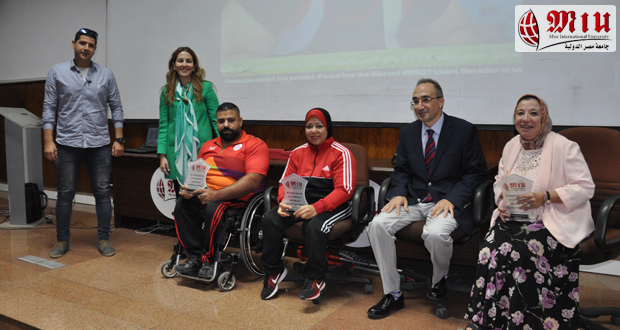 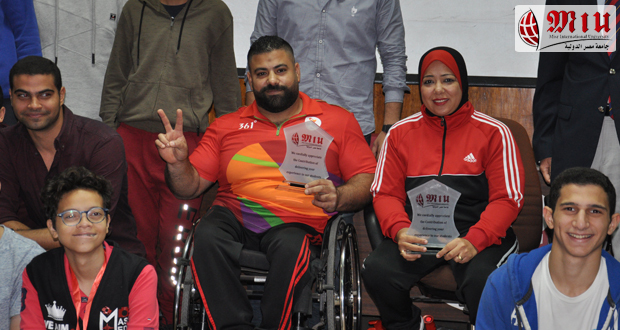 “What Is Impossible Can Make Things Possible”… This is the slogan of our two hosted Worldwide Champions in Para Power Lifting: Ms Fatma Omar and Mr Hany Mohsen. 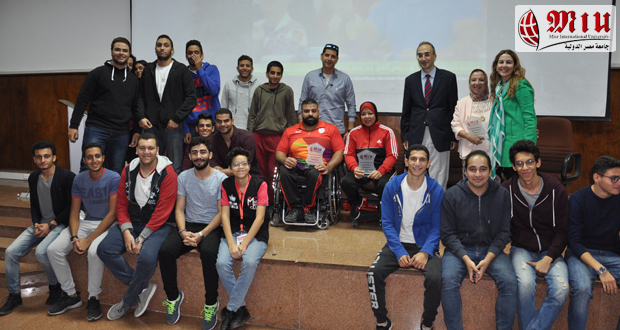 Our Worldwide Champions represented role models for our students and presented how they could really overcome disability and various challenges to gain their gold medals and maintain their success. 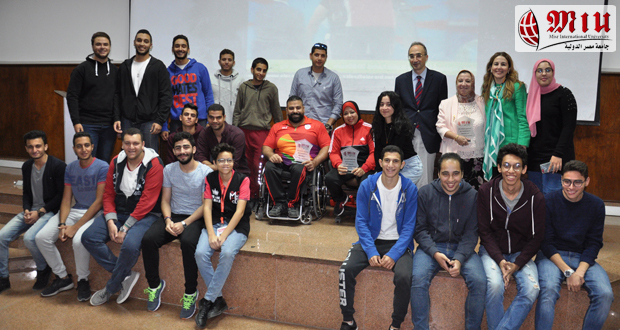 The champions concluded the seminar by highlighting the importance of clear direction and objectives in life as well as the value of persistence and passion to overcome various challenges.